In the end, however, it’s definitely the alluring dynamic between Atto and Milli that’ll sell you on Clockwork. This journey takes you across the beautiful steampunk city of Watchtower, which is a joy to behold. As much as I wanted to finish the game (I only had a few levels left to go) there were just too many bugs, which resulted in a frustrating gaming experience. 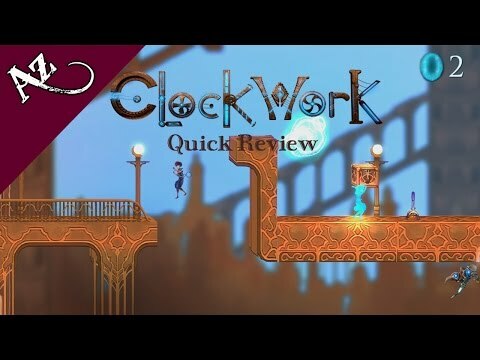 The concept is there and it is a nicely crafted challenge for the puzzle-platformer fans, but I would wait for Gamesoft to fix the bugs before purchasing the game. But if this is done, the story, the artwork, and the challenge will make for a great gaming experience.